None of the Old Time Radio networks had a hold on romantic adventure like the Columbia Broadcasting System. The other networks certainly made the attempt to get a foot hold in the genre, but it would have been difficult for anyone to compete with his like The Whistler, Suspense, and Escape. High Adventure is sometimes billed "The Mutual Network's answer toEscape!" In fact, the Mutual anthology premiered on Mar 1, 1947. There were audition episodes for Escape at the end of Feb and the middle of March, 1947, but the program did not begin regular broadcast until July. Some reviewers consider Escape to be Suspense's little brother. In that line of thinking, High Adventure could be thought of as a distant cousin. Mutual started the show in the Saturday evening, 9:30 time slot, and bounced it around until Jan 21, 1949, when the show moved to Sunday afternoons on NBC (Mutual Network shows were notorious for developing a following and then moving to one of the more established networks). They landed Old Spice Aftershave as a sponsor. The High Adventure scripts were based on original stories, in contrast to the many adaptations found on Escape. The shows used little subtlety in reaching towards a masculine audience. The stories were written an a realistic, remarkably believable style. High Adventure was the defining moment in the protagonist's life, and the outcome of the story would often hinge on his strength of character as much as his luck or expertise. The episodes feature the music of the High Adventure orchestra, but the music takes a backseat to the language of the characters and the sound effects in establishing an extraordinarily realistic atmosphere. The realism is the most striking element of High Adventure. A major league baseball catcher and pitcher in one episode play for a fictional team, but the pennant race and locker room interaction are highly believable. In another episode, the hiss of air-compressors and the clanging of brass dive helmets in a deep-sea diving episode take the listener to the deck of the boat in the sunny Caribbean. Listeners hear a cross-country semi-truck going through its upshifts. NBC dropped High Adventure at the end of the 1950 season. Mutual retooled the show in Jan, 1953. 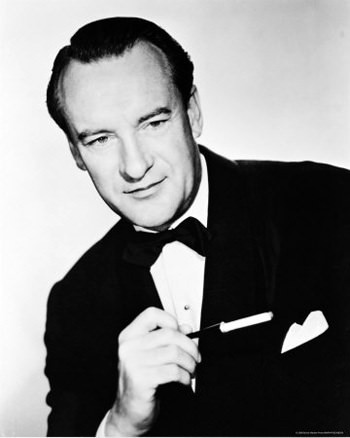 The new version of the program featured George Sanders as narrator. This collection contains both the US and South African broadcasts. Be the first to comment on "High Adventure"